Yes, Karen! I'm ready to become an Expert, increase my Credi﻿bility and grow my business with the power of becoming A Healthy Gut Advisor so that I can truly do what I love...Help﻿ing Others. Basically we will begin with taking that first bite of food, what happens from the mouth all the way to releasing the poo intothe loo! This alone is worth the price of the Healthy Gut Advisors Weekend Intensive. Wait until you learn how this is affecting your client! You will learn what happens when vitamins, minerals and other essential nutrients become deficient when digestion is off and how these deficiencies along with "liver lethargy" may be affecting the health of your client. Imagine knowing the right questions to ask and how that can make the biggest difference in their health. You will learn how to effectively reverse your clients gas, bloating, diarrhea constipation and other rumbles and bubbles they are dealing with including digestive disorders such as IBS, Crohn's Colitis, GERD, and Acid Reflux. We will cover how to support your client's needs and finally have the answers your clients have been looking for. Imagine having the answers right away without having to ask someone else! You will gain the knowledge you need to ask your clients the right questions to get them the most effective health care program with the biggest results. No more guessing or feeling unsure or afraid you are are doing the wrong thing. Whether you use Network Professional products, Health care professional supplements, suggest over-the-counter supplements or, have no idea what supplements to recommend; I am going to teach you the crucial foundational supplementation that every one of your clients needs to be on so that, you can effectively support digestion and, reverse some of their nagging symptoms. It does not matter what the product is, we are going to explore the ingredients that are crucial to your client;s health and wellbeing. You will gain an effective digestive protocol--what I call the absolute Foundational MUST! The best part about the Healthy Gut Advisor Weekend Intensive is you can implement what you learn immediately! You spend one weekend learning and Monday morning...BAM...you are already telling your clients how to increase their energy and decrease some of their symptoms....AWESOME! You will know all the tips and secrets to make such a profound shift in your client's health and energy that they will keep coming back for more over-and-over. I truly stand behind my work and I am honored to share my research and education with you. I am confident that when you enroll and join the Healthy Gut Advisor Weekend Intensive Community you will be happy with what you learn. I give you the industry tips, the latest research and what the holistic industry is doing to positively impact the health of their community. 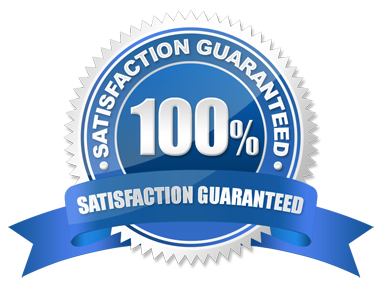 If for some reason you are not blown away, happy or satisfied by the end of the first day send me an email asking for your money back and telling me what didn't work for you and I will give you a full 100% refund. That's my promise to you.